Great location close to town on an oversized lot situated on a cul-de-sac in Port LaBelle. This home offers an open floor plan with 3 bedrooms 2 full bath, CBS construction and Galvalume roof. Other features include ceramic tile in high traffic areas, solid surface counter tops, eat in breakfast bar, media station, all wood cabinets, interior laundry, open floor plan, covered front porch and two car garage. 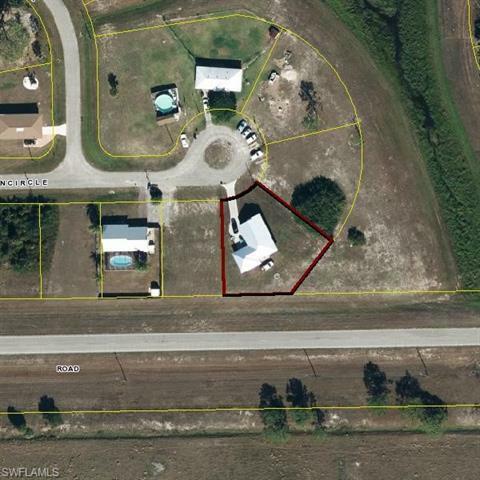 Within walking distance of Florida Southwestern State College, LaBelle High School & Country Oaks Elementary. Some TLC needed. Just minutes to shopping, dining, parks and recreation. Easy access to Helms Rd, Hwy 29 and State Rt. 80. Make your appointment today!